Bean bags were funky in the 1960s and 1970s until, all of a sudden, they were out of fashion and nobody liked them anymore. 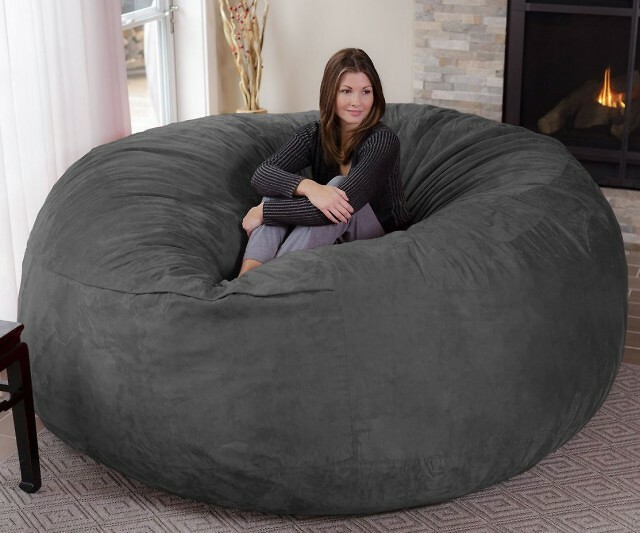 Skip forward a few years though and bean bags are back, they look just as trendy as ever and now they have a whole new fan base of admirers. Our ‘Fatboy’ bags are pretty fabulous, you can use them in a number of ways and we’ve listed some of the options in our latest blog. Den bag – Got a play room you preserve for the kids? Toss in a couple of bean bags. Kids love them and they’re a great place to get comfy as you blast aliens on a gaming system or watch a film. Bean bags are light and simple to shift so children can position them where they want without ‘dragging’ furniture across the room. Guest bag – Run out of seats when guests come to visit? Invest in a few bean bags, you can pop them in cupboards out of the way when they’re not in use and take them out again when you need to use them. Or simply leave them in bedrooms as focal features and bring them downstairs if guests need a place to park their backside. Office bag – Think bean bags are the preserve of the domestic environment? They’re not. Turn one on its side and use it as a makeshift office chair or how about scattering a few beanbags around the office floor and use them as perches for ‘brainstorming’ ideas. Patio bag – Place bean bags outdoor in warm weather, they brighten up patios, look great on decking and you can even pop them by the pool if you live in a fancy house. Pet bag – Bean bags are cosy and comfortable so it’s little wonder that dogs and cats love them. Be careful with cat claws though, and watch your dog if they like to chew, you could end up with filling all over the floor! These are just five of our suggestions from CP Furniture Sales. Buy a bag of your own and think of fun things to do with it in the comfort of your own home.